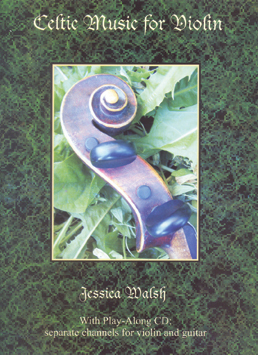 Celtic Music for Violin has 40 pieces ranging from lovely portraits to lively jigs. They come from traditions including Irish, Scottish, Welsh, and Manx, and span several hundred years. The unique personality and sound of the violin complements them all. A few of the tunes are more than 400 years old; some are new. Whether a lilt, love song, or lament, each melody in this collection is a gem. The accompanying play-along CD includes all the tunes in the same order in which they appear in the book.